Whether it’s more cost-effective to rent or buy a property is a question that has perplexed many a Dubai resident, but a new online calculator proposes a solution to that dilemma. The Rent vs Buy Calculator created by real estate platform Propertyfinder compares the total cost of renting with the total cost of buying in the emirate. Lynnette Abad, director of research and data at Propertyfinder, said the tool was inspired by her own home buying frustrations. 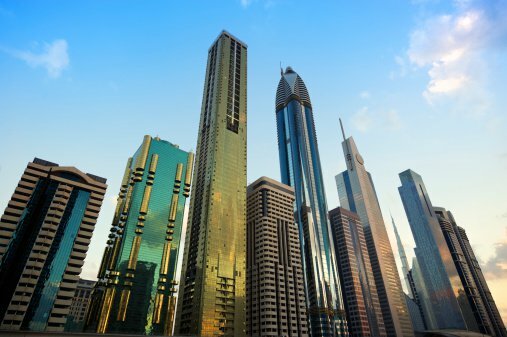 A July study from property portal Bayut found rental rates in Dubai had fallen between 2 per cent and 9 per cent over the past 12 months. Meanwhile, Dubai’s real estate sector slowed in the first half of this year with deals transacted falling 16 per cent year-on-year in value, according to a July report from the Dubai Land Department. Users of the new calculator can compare whether it is cheaper to buy or rent the same property, inputting figures such as the annual rent and the cost to buy the home outright and the number of years they plan to live in Dubai. The calculator then processes the data to reveal an estimated cost breakdown and analysis, demonstrating the break point where buying becomes more affordable than renting. Propertyfinder says consumers may be surprised to find out that, over time, it is more cost-effective to pay a monthly mortgage than rent. For example, a tenant planning to stay in Dubai for five years and interested in a property with an annual rent of Dh96,000, could also analyse the cost-effectiveness of buying the property for Dh1.1 million. With a mortgage interest rate of 3.75 per cent applied to a 25-year home loan, the monthly rental cost comes in at Dh8,101, according to the calculator – 30 per cent cheaper than the monthly mortgage cost of Dh5,672. This calculation also factors in the 25 per cent deposit of Dh275,000 to buy the property with the total cost of buying over five years coming in at Dh340,320 versus the total rental cost of Dh486,015. Mario Volpi, the sales and leasing manager at brokerage Engel & Volkers, said mortgage calculators have been around for a while but a dual comparison application that outlines the cost of renting versus buying is a new concept. To reach those figures, the tool not only accounts for the monthly rent but also additional rental costs such as the one-time agent commission (based on the total yearly rent amount), and yearly Ejari fees. This calculation does not include any maintenance fees on the property. To work out the cost of buying, the tool also accounts for fees such as an agent’s commission, Dubai Land Department registration fees, Registration Trustee fees, property valuation fee, mortgage processing and registration fees. Propertyfinder said it will roll out a similar calculator for Abu Dhabi in the future.